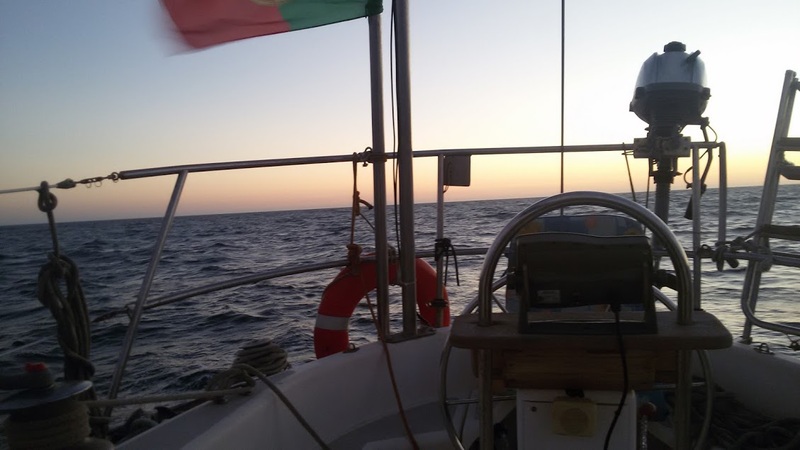 Late one morning, after having spent six days anchored in Alvor, I motored out the winding Alvor channel on a rising tide without running aground. 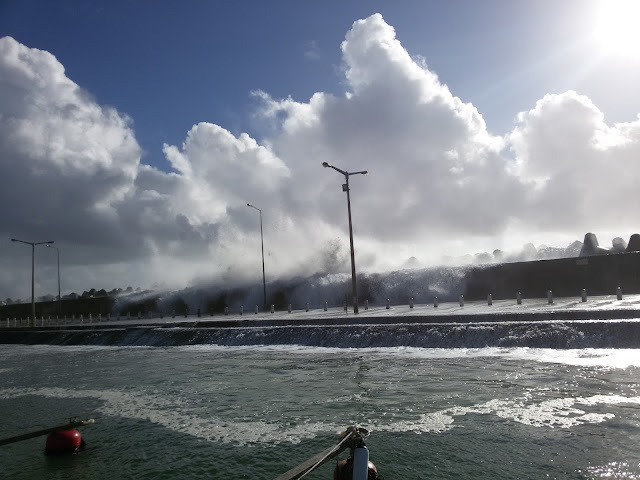 The plan was to sail to the marina of Albufeira, to anchor in front of the breakwater and to enter the marina early the next morning to fill up on diesel and water before the tourist sightseeing boats began to line up for diesel. That was the plan. 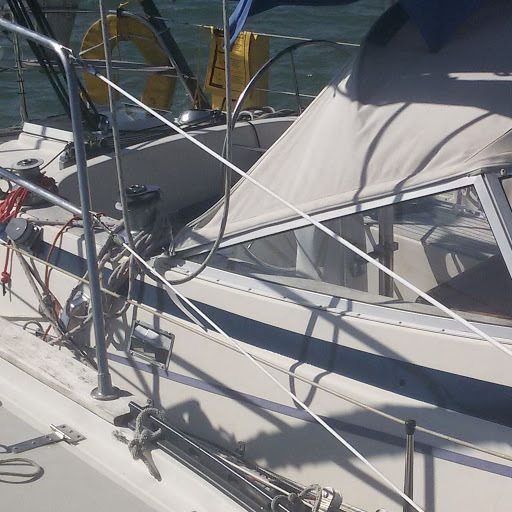 But the afternoon breeze picked up and, not yet running short on diesel or water, I shut the engine off and enjoyed a smooth sail to Ria de Faro where I arrived at midnight. Ria de Faro is a very large lagoon with various channels. It is protected by a long island of sand with three small, car-free towns: Culatra, Farol and Armona. This is the third of fourth year I anchored near this large sailboat that is normally berthed at the Cascais marina. I spent about a week in Culatra, sailed up the winding Faro channel and then dropped the hook near a black steel sailboat near the shallows in 3 meters of water at mid-tide. It was hot. Sitting in the cockpit with a glass of wine feeling the sun burn through my straw hat I heard a voice with a German accent coming from my port side. "Don't you think you're too close?" 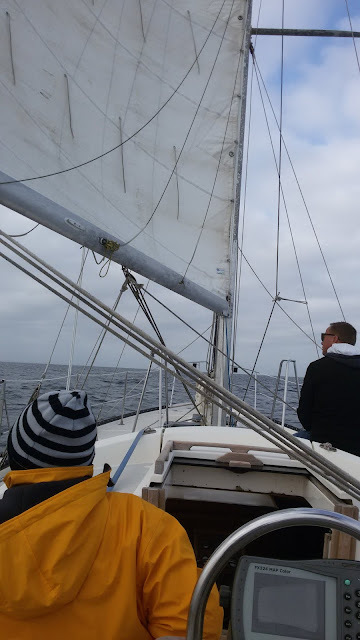 A swarthy middle-aged man was standing wearing only white speedo underwear on the bow of the black sailboat that I had thought to be unattended. "Pardon me, I can't hear you." "I think you're too close," he said louder. "Are you on a mooring?" "How much chain do you have out?" "A lot of chain. You will hit me when the tide and wind change, everybody hits me. 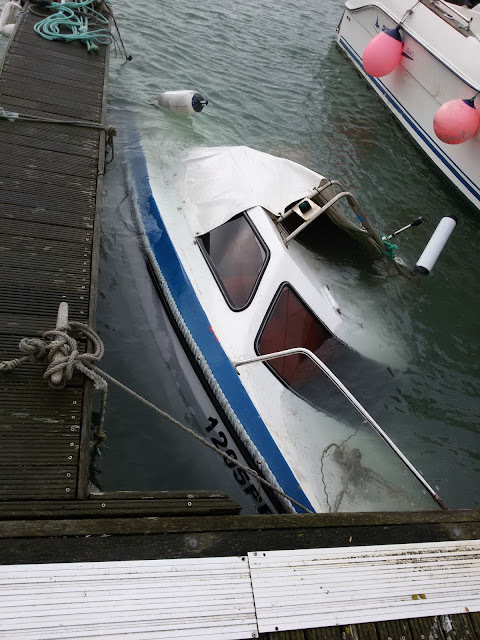 My boat has been very damaged." I didn't see any marks on the black paint and, judging by the distance between us, couldn't see how we would collide even if our boats charged each other like fighting dogs on chains. "I have 40 metres of chain out," I lied. 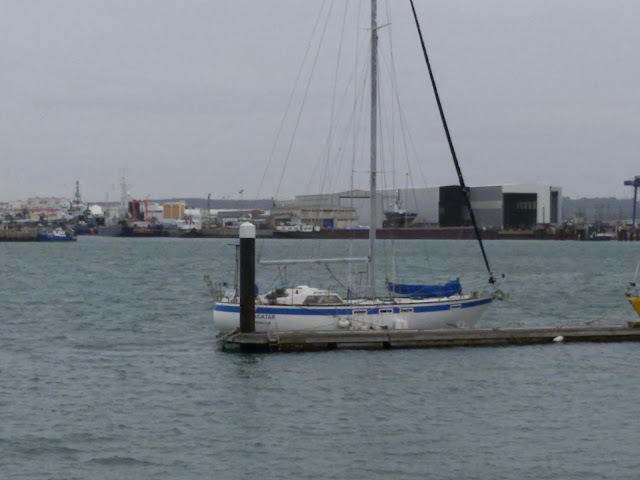 "I'll take in 15 metres after I test my anchor." As he looked at me suspiciously, I suddenly remembered the familiar-looking boat. 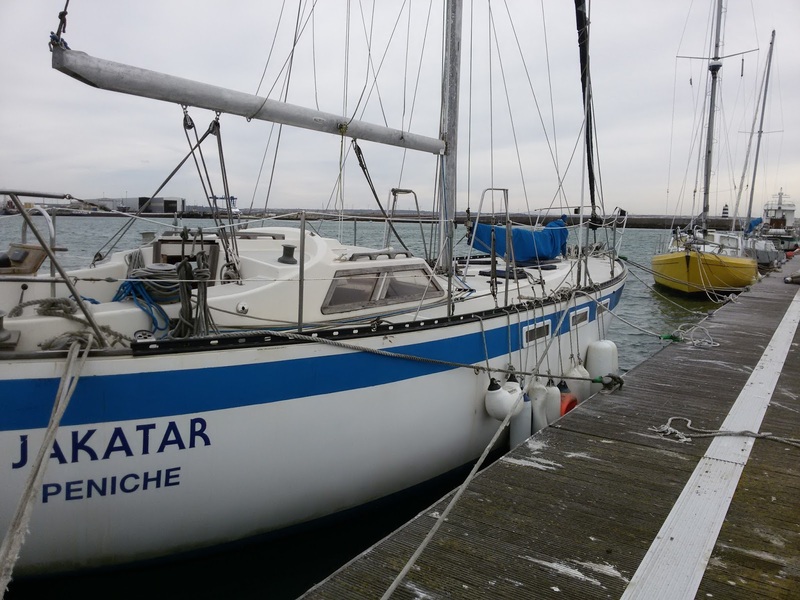 It had been anchored in front of Culatra two years ago and then in the little bay by the Olhão marina with a for sale sign that said "5,000 euros with good engine". "This boat was for sale last year, did you buy it?" "No, my boat was not for sale. I have owned it for 12 years." "Oh. But it's the exact same boat, even the German flag on the windvane. I thought a young guy owned it. I met him." "Yes, I had two boats before, and I sold the other one." The conversation got even stranger after that. But this is a blog not a gossip column. A few days later I saw him playing guitar on the street in Olhão with a tipping hat in front of him. About a week later, I went to Tavira for the first time. I've always shied away from Tavira because of the silted entrance but went in now based on rumour that it had been dredged. Doing the laundry in Tavira. The Tavira anchorage was full of moorings and I was forced to anchor too far out in the channel. 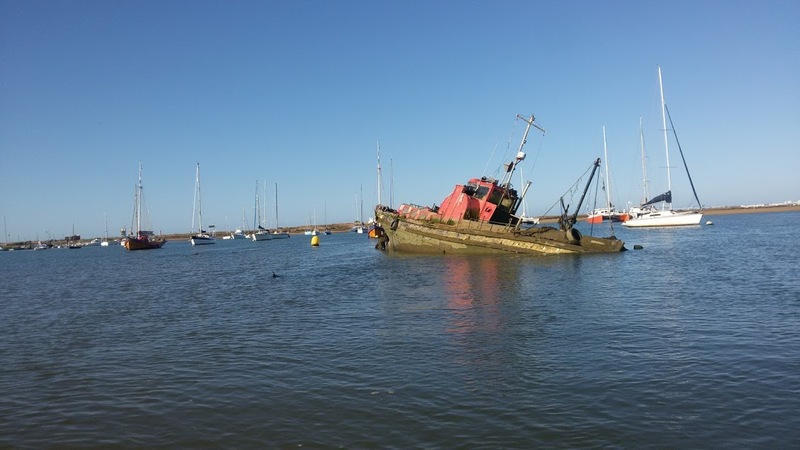 Nobody bothered me so I got used to it and had a great time in the anchorage and in the old city of Tavira. After Tavira, I slowly retraced my steps back to Peniche at the end of August. The BIG NEWS is that I did not renew my slip in Peniche for 2019!! It's time for something new, a new era...on the water of course.